Career assessments and career aptitude tests are tools that have been used for decades to help students and career seekers uncover their ideal career paths. Many of them are designed to help individuals better understand how their personal attributes (their strengths, values, skills, interests, etc) can play a part in their overall success and satisfaction at work and are used by a variety of career professionals, from career counsellors to career coaches. Some career assessments help you uncover your strengths and values while others match you up with specific occupations and industries based on your interests—both are helpful in finding a career path you love and suits your personality. Considering the number of people who aren’t satisfied with their current career (73% of them didn’t land in the job they had expected), it’s no surprise that one in five workers have used career assessments to figure out their next job. So, how does one get the most out career assessments? And which one should you use to find your ideal career? Who are career assessments for? Career assessments can be useful to pretty much anyone who is of working age. Whether you are a high school graduate trying to decide on a college major, a college grad who’s ready to join the workforce, a working mom who needs a career that offers better work-life balance or a corporate executive who wants to trade in their briefcase for a more creative career that allows them to give back. The fact is, when it comes to our professional lives, we could all use some guidance at some point or another and career assessments are one way of getting it. How do you get the most out of career assessments? 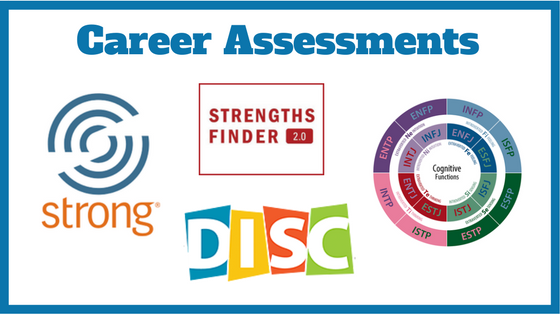 As mentioned, career assessments are fantastic tools to help individuals learn more about their strengths, skills, interests and how those can translate into careers. Just like any other tool, they are most effective when put in the right hands, meaning the best way to optimize these tests is by working with a professional who can not only administer the assessment(s), but work with you on the next steps. Career coaches can be certified in multiple career and personality assessments and may use a variety of them to help their clients uncover suitable professions. Developed by Isabel Briggs Myers and her mother Katherine Briggs, the Myers Briggs Type Inventory is the most widely used personality test around the world. It uses an introspective questionnaire to indicate four psychological preferences in how we perceive and experience the world and how we make decisions. The four categories: Favorite world (extroversion (E) or introversion (I)), information (sensing (S) or intuition (I)), decisions (thinking (T) or feeling (F)) and structure (judging (J) or perceiving (P)) make up different combinations based on a person’s answers to create 16 personality types. It’s based on the 34 common talents (strengths), all of which have unique names. The more dominant a theme is in an individual, the greater the impact it has on that person’s behaviour and performance. The Strong Interest Inventory® is based on the RIASEC model and was developed by psychologist John Holland. His theory was that there are six types of personalities—Realistic, Investigative, Artistic, Social, Enterprising, Conventional and six types of work environments that can be matched to the different types. The VIA Survey of Character Strengths is a short self-assessment that helps a person understand their core characteristics – your best qualities. It was created under the direction of Dr. Martin Seligman, the “father of positive psychology” and Dr. Christopher Peterson, author and scientist from the University of Michigan. The Multi-dimensional Emotional Intelligence Quotient (MEIQ-R7) is the result of a series of large-scale research studies conducted by PsychTests since the first version of the test was released in 1996. The assessment is based on the mixed model of EI, assessing four core EI abilities which are broken down into 21 subfactors and seven additional moderating factors to complete the picture. 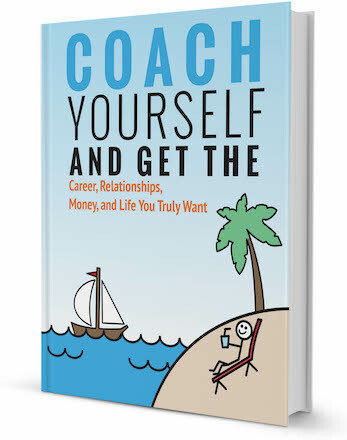 Thinking of hiring a career coach to help you find your dream career? Browse our directory of career coaches and get a FREE consultation or request a personalized coach recommendation! Get a Personalized Coach Recommendation!